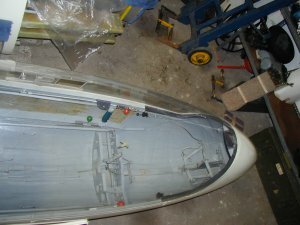 ... then an abnormal number of cracks in the painting can be found - funnily enough only on the fuselage. 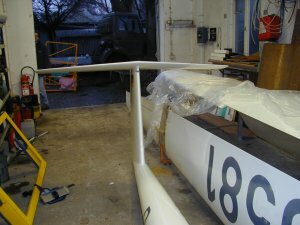 The instruments, the panel and the seat are removed to make the checking easier. The elevator moves. Nice thing. 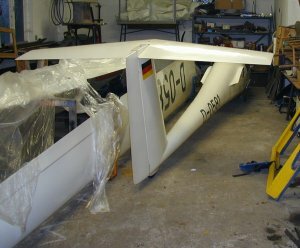 Shortly our inspector will arrive (Jörg) and have a closer look on this "misery".